There's probably only one place in Vermont where you can get Eggs Benedict, cat litter, ham-and-cheese croissants, toilet paper, homemade pasta, beer, rack of lamb, milk, tiramisu, cigarettes and fresh sea bass. Yes, it does exist outside your wishful imagination — it's the new Village Store in Tunbridge. Never heard of it? There's a good explanation: People in Tunbridge don't like to wait in line. That's one reason they live in Tunbridge. Outsiders who want to get the scoop need only drive south from East Barre on Route 110. Once in Tunbridge, home of the World's Fair and the official state soil, they'll find the Village Store in an unassuming clapboard building, right across the street from the meandering First Branch of the White River. Inside, they're likely to meet co-owner Jean Pierre Debeuf. He's the one with the apron, a French accent and a quiet energy that says, "I've got this under control." 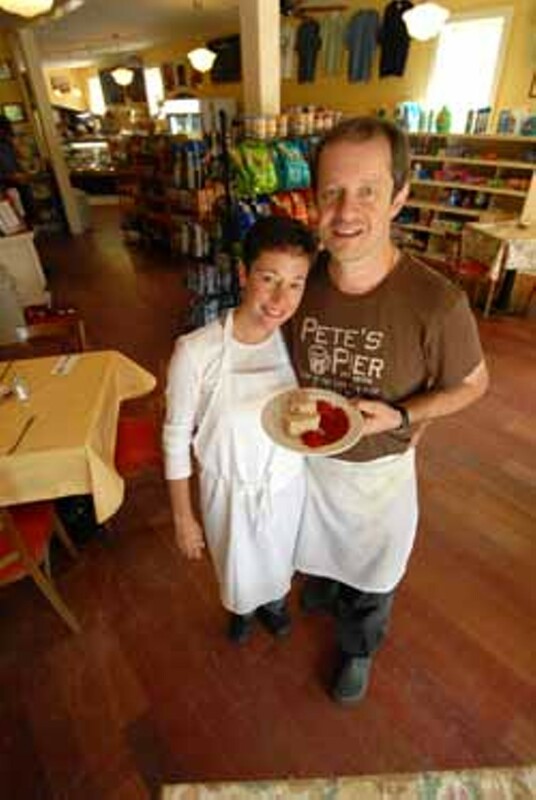 Debeuf and his wife, Judi, opened the Village Store in May with the conviction that it makes perfect sense to utter the words "gourmet food" and "convenience" in the same breath. And their success suggests that you don't have to ring out the old to ring in the new. The Tunbridge Village Store has been around in some form since 1820, when it was a hub of social activity; a place where farmers shopped for spices, barbed wire, nails and other dry goods. Its current home was built around 1840 and looks "virtually identical" today, according to Euclid Farnham, president of the Tunbridge Historical Society. What happens when you plunk a five-star-restaurant French chef down in a place that pretty much epitomizes the no-nonsense ethos of rural Vermont? You get a colorful menu, the occasional culture clash and some fiercely loyal customers. Not that it happened quite that way. Born on the Riviera, Debeuf, 45, attended the oldest culinary school in France, at Thonon-Les-Bains. In 1983, a prestigious exchange program with Meridien Hotels brought him to Boston, where he stayed for about 15 years, honing his chops at the Four Seasons, the Ritz Carlton and other haute cuisine establishments. He crept north and opened two restaurants of his own in southern New Hampshire, one of which — The Riviera — was considered by many the best in the state. But Debeuf didn't come to Vermont to cook. As an avocation, he and Judi ride and breed Icelandic horses. When they heard about a couple in Tunbridge, Bill and Priscilla Chester, who needed a caretaker for their Icelandics, they packed up shop. Soon Debeuf was living in Tunbridge and commuting 45 minutes each way to a job as Chef de Cuisine at Carpaccio Ristorante in Hanover. Meanwhile, the previous owner of the Village Store was closing it for good. The Chesters saw an opportunity to install a French chef in the otherwise food-less town. They purchased the building and turned it over to the Debeufs with a sweetheart, low-rent lease to help them get established. "They looked into [opening the store]," explains Bill Chester, "and thought they could make a go of it." The Debeufs are free to buy the building when it suits them. 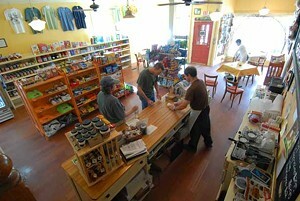 Other local investors pitched in on the kitchen renovations, making the store a product of community commitment. Jean Pierre has reciprocated that commitment by putting in long hours. The store is open every day except Monday, when the chef catches up on paperwork and makes the homemade pasta, which he freezes and packages for ready-made microwave dinners. The rest of the week, customers can sit down for breakfast, lunch or early dinner at one of four quad tables up front. For those in more of a hurry, the store offers a hopping take-out business, a selection of packaged goods and a decent supply of household staples. On Sunday mornings, when people are more apt to linger, Debeuf usually goes through 20 dozen eggs, single-handedly making omelettes, egg sandwiches and other signature dishes. "That's a lot of eggs," he notes. "I did maybe 60 orders of Eggs Benedict." Then comes lunchtime, when hungry farmers and woodsmen amble in. One way in which Debeuf makes his influence felt in town is by encouraging people to try things beyond the same old deli sandwich — things they wouldn't expect to find in a classic Vermont general store. "Only the old-timers have been hard to convince. They come in here and say, 'I want a grinder with turkey, cheese and pickles,'" he says, feigning an old Yankee's gravelly voice. "But after a while," he continues, "some of them are starting to change. They're trying the pasta. For a couple of weeks I was doing cheese ravioli and stuffed shells. And now I'm doing shrimp and portabella, and the pasta is red and black, and they're going for it!" By now, everybody's got his or her favorite dish. Bill Chester, 82, goes for the ham-and-cheese croissants and the Eggs Benedict. Historian Farnham seconds the Eggs Benedict recommendation, and suggests getting to the store early on Sundays before they're all gone. There's also quite a buzz about Debeuf's fried-cheesecake pastry, which is just what you'd expect: cheesecake filling inside a fried pocket of flour dough. Judi, at the moment, is stuck between two options: "The Alice's Favorite — it's a vegetarian wrap with black beans, roasted red peppers, avocado, jalapeño cheddar, fresh onions, fresh spinach and Cajun mayo," says the chef's wife. "I also love the pulled pork sandwich — that's one of my guilty pleasures." In season, many of the ingredients come from local farms, and even the gardens of customers— who are pleasantly surprised when Debeuf doesn't hesitate to toss their homegrown basil or thyme in whatever he's making. The Tunbridge Hill Farm provides most of the vegetables in the dishes, besides supplying the store's daily selection of fresh produce. For carnivores, there's lamb from Tunbridge's Land & Lamb farm, a breeder of the exotic Navajo-Churro sheep. "We bought all of their racks last year," Judi says. "They're tender, reasonably priced, unbelievable. Much better than the New Zealands, actually." And a lot closer. The seafood has to make a longer trip, from Cape Cod. But Debeuf maximizes its freshness with the help of a fisherman friend, who calls the store each Thursday and says, "This is what I caught — what do you want?" he says. Debeuf makes his order and puts a sign out in front. Locals caught on quickly — when the surf shows up on Tunbridge's turf on Friday afternoons, most of it is already spoken for. Sometimes it's scallops, other times sea bass or crab. "I don't buy a lot," Debeuf says, "maybe 10 pounds of each." But what customers sacrifice in convenience, they make up for in quality: "I'd rather have fresh fish for a day [and be able to say] this fish was in the water yesterday," the chef points out. Besides its eclectic mix of food and convenience items, the Village Store is supplying Tunbridge with a lively place for people to gab about town news and gossip. "Tunbridge has no bar," Bill Chester explains. "The library is probably the only other place for people to get together." 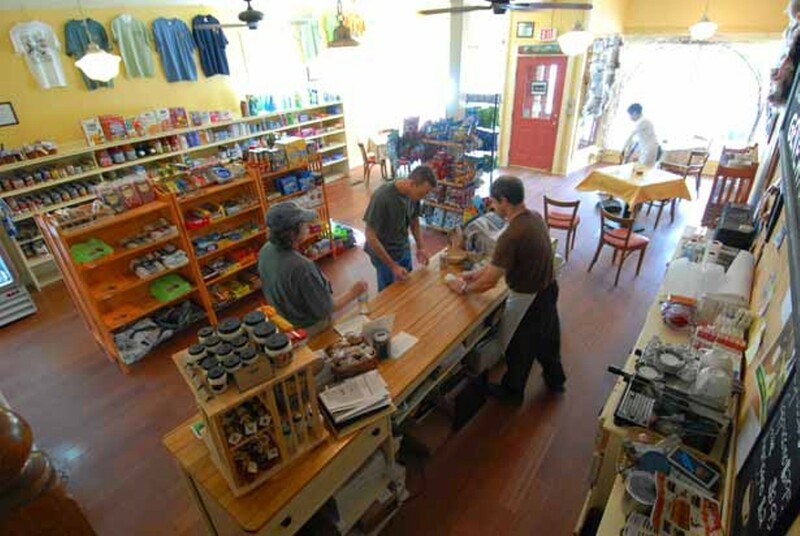 In other words, the general store is reclaiming its original function as a place to hang out. One major difference between then and now, of course, is the looming presence of supermarkets, with which, says Farnham, "small-town country stores just can't compete." For such stores to succeed, they "need to establish their own niche," he adds, "which [Debeuf] has." "I work every day from 4 a.m. to 7 p.m., pretty much," the chef says with a shrug. The fruit of his labors is to see townspeople come through his door, instead of picking up milk at the gas station. "The way it's going to survive," he says earnestly, "is if the community does its part . . . If they know that I'm going to do what I can to make them happy, and they come in response, then we're OK."